Updates to Cathy's profile since your last visit are highlighted in yellow. The Big Red Machine Rocks !!! '75 Don't Take No Jive ! Thea Beatty always getting everyone totally pumped for the games ! Cathy Smith White has a birthday today. 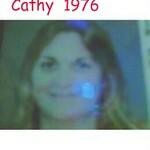 Cathy Smith White updated her profile. View. Cathy Smith White has left an In Memory comment for Steven Lacoss. RIP Steve, you were a dear friend taken from us much too soon & we will miss you. "Once a Lancer, Always a Lancer"
Cathy Smith White added a comment on her Profile. Cathy Smith White posted a message. New comment added. And here I always thought you had all the girls. You can always email me at: Caligirl95670@aol.com. My cell number is: (916) 953-8606 if you ever want to call or text me.